Wow! Both kids (and mom) survived the first day of school! They both love their teachers and were excited to see all of their friends again! Don't forget to get your entries in for a variety pack of organic energy snacks - this yummy giveaway ends tonight! 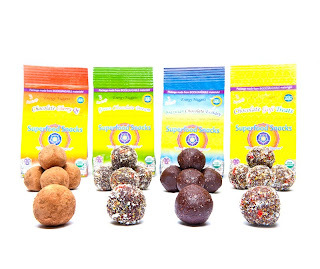 Do you prefer organic snacks? I do prefer organic snacks and try to eat them whenever possible. I think it just makes you feel better about what you are putting into your body.